Hellertown Police said a borough man was charged with reckless burning after he allegedly set a fire and failed to extinguish it in the Water Street Park/Cinder Banks area north of W. Water Street Friday afternoon. UPDATE: The brush fire was brought under control around 3:30 p.m., although hot spots were still being extinguished according to a report published by Channel 69 News. The television station reported that the fire–which burned Hellertown watershed property–was started by a homeowner burning trash in a container. Firefighters are battling a large brush fire in the area of 3573 Lower Saucon Road, near Kefallonia Drive and Lori Lane in Lower Saucon Township early Wednesday afternoon. According to an alert posted by township police, road closures are in place in the area of the fire and helicopters are dropping water in an attempt to extinguish it. Lehigh Valley Breaking News on Facebook reported that the fire is three alarms and that the Department of Conservation and Natural Resources had been notified of it. Lower Saucon Township Police announced Wednesday that two residents have been cited under the township’s nuisance ordinance for allegedly starting brush fires April 16. The first fire broke out at 9:30 a.m. in the 2300 block of Wassergass Road, police said, and resulted in a citation for burning for Tammy Hutterer, 52. “Upon arriving about an acre of land was burning and it was spreading quickly because of the wind,” a news release from police said. According to the release, Hutterer “stated she started the fire to burn the sticker bushes and kill the ticks in the area.” Police said the second fire was started by Frank Zajacek, 77, in the 2200 block of Polk Valley Road shortly after 1:30 p.m. Thursday. A man has been cited for allegedly starting a large brush fire near Springtown Hill Road in Lower Saucon Township Saturday that drew dozens of firefighters and emergency personnel from companies in Northampton and Lehigh counties to extinguish it. In a news release issued Monday, township police said Miguel Gonazalez, of 1720 Erin Lane, “was burning waste in a 55 gallon steel drum when embers lit surrounding grass/brush.” “The fire then began to spread rapidly,” they said. Police said the fire ultimately burned across nearly five grass-covered and wooded acres. Springtown Hill Road had to be temporarily closed between Hill Drive and Orchards Road, and at one point a request went out to close the grist mill parking lot on Walnut Street in Hellertown, so tanker trucks could refill from the pond there. 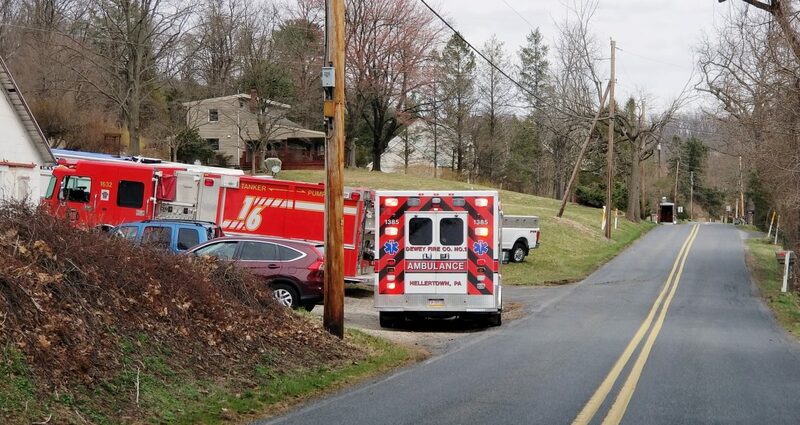 As of 2:45 p.m. Saturday afternoon volunteer fire companies and emergency medical personnel from the Saucon Valley and beyond were responding to a reported brush fire at 1720 Erin Lane, which is off Springtown Hill Road in Lower Saucon Township. Springtown Hill Road was reportedly closed between Hill Drive and Orchard Lane. A shaft of smoke could be seen rising from parts of Hellertown–including Union Cemetery–and the sound sirens was heard throughout the Saucon Valley, as fire crews from Se-Wy-Co, Dewey, Upper Saucon Township, Springtown, Southeastern, Steel City and Bethlehem Township raced to the scene of the wildfire. Shortly before 3 p.m. a reader said fire personnel were requesting that Hellertown Police close the grist mill parking area to the public, so tanker trucks could be filled with water at the pond off Walnut Street. 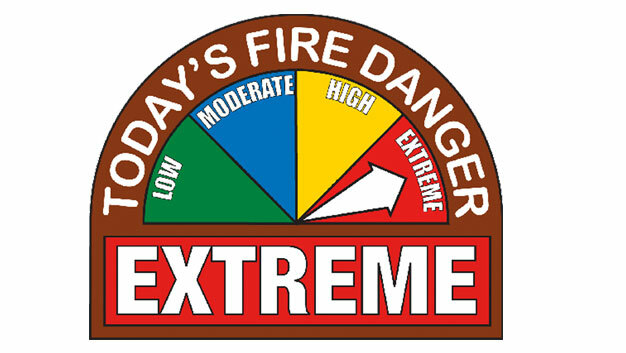 The brush fire broke out on an unseasonably warm day, when the National Weather Service warned that low humidity and gusty winds would create ideal conditions for brush fires. A 78-year-old Lower Saucon Township was cited for a violation of the township’s burning ordinance Monday, after police say he caused a small brush fire to ignite. In a news release issued Wednesday, police said Stanley D. Sloyer of the 3600 block of Lower Saucon Road failed to ensure that his burn “was completely out and did not pose any hazards” when he allegedly left it unattended shortly after 6 p.m.
Police didn’t say how big the brush fire was, but reported that Southeastern Fire Department volunteers responded to extinguish it. The brush fire Sloyer allegedly caused occurred just hours after a man was found dead in the area of another brush fire at his home about a mile away on Apple Street. Northampton County Coroner Zachary Lysek ruled that Patrick E. McChesney Sr. of 2583 Apple Street died accidentally from natural disease and thermal injuries, the Express-Times reported Wednesday. Lower Saucon police said earlier this week that a third brush fire was sparked along Coal Yard Road April 2, when two teenage boys playing with a ball of lint allegedly lit it on fire and threw it in a sandbox. A fire that scorched an area of brush approximately 100 feet by 150 feet just off Coal Yard Road Thursday was caused by two teenage boys who carelessly disposed of a lit ball of lint, Lower Saucon Township Police said in a news release Tuesday. According to police, the boys–ages 13 and 15–admitted to rolling a “large amount” of dryer lint into a ball and lighting it on fire, before throwing it into a plastic sandbox. From there, “the wind helped the fire to spread out of control,” police said. Authorities added that the boys attempted to stop the fire from spreading, but were unsuccessful, and the plastic sandbox was destroyed. Both boys will be charged as juveniles with the summary offenses of criminal mischief and dangerous burning, police said. The man who was found dead at the scene of a brush/structure fire in the 2500 block of Apple Street, Lower Saucon Township, Monday, has been identified by Northampton County Coroner Zachary Lysek as 72-year-old Patrick McChesney Sr., the Express-Times reported. McChesney lived at 2583 Apple Street, where he was reportedly known for keeping a personal Corvette collection. According to the newspaper, Lysek is still working to determine whether McChesney’s death was due to natural causes or as a result of the fire. Numerous fire companies from Northampton, Lehigh and Bucks counties responded to the brush fire, which broke out in the early afternoon on a day when gusty winds and low humidity created ideal wildfire conditions. At one point several acres were reported to be ablaze, but the fire was brought under control by mid-afternoon.